If you are looking for mobility and portability in your business then Pico projector is the right choice for you. 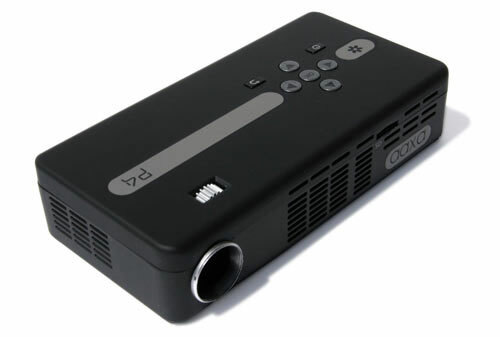 With portable Pico projector you can easy show to your business partners’ new ideas, and much more. One thing is sure, when you see all the advantages of Pico projector it will soon become your new best friend. Pico projectors are also well known as pocket projectors, because they can be put in a pocket, and that is their main advantage. They are very popular for businessmen on the move, as well as watching movies while you are on vacation. 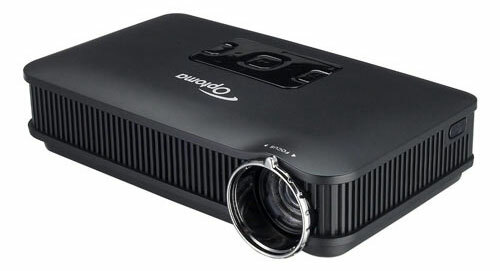 At Projectorshop24 you can find best offer of Pico projectors online, additionally there is a great offer of projectors, as well as all possible accessories for that matter. In the recent years Pico projectors become brighter and more multipurpose, now they can read content from almost every source. There’s also many technologies in use, such as LED, LCOS (liquid crystal on silicon), and laser light sources, but the best are those with DLP (digital light processing) chips from Texas Instruments. No matter of size, almost every new model of Pico projectors offers standout user experience. We feature the best three Pico projectors out of plenty we've reviewed. Our choice of the best Pico projectors is Optoma Pico PK320, AAXA P4 and Favi E3-LED-Pico. They are all very light in weight and pretty solid, so it’s very easy to carry them, and regardless of their small size, they are offering best quality and resolution. The Optoma Pico PK320 is a first-rate Pico projector with a compact size, and the largest image size of the Pico projectors we covered. There’s an excellent contrast ratio for images and a good lengthy of battery life. The images are perfect clear, so you’ll be amazed with the quality of this little fellow. If you are looking for brightest images you can use an AC adapter. Beside of high-quality images that this Pico projector provides, there’s also 2GB of memory, and stylish remote control so you can relax while using it. The small AAXA P4 provides pleasing images, exceptional battery life and universal flexibility. It’s a very light weight Pico projector, and there’s addition of tiny keyboard that can transform this device into a small-computer. Life of the lamp is maybe shorter then usually, but is will give you a beautiful and clear picture, so you’re business will be a synonymous for perfection. This device has a rechargeable battery with a life of 75 minutes, but you can always plug its AC adapter for more project images. The LED lamp life of this Pico projector is almost unbelievable. Favi E3-LED-Pro will offer 30,000 hours of lamp life, which basically mean it will never expires. The brightness level of this Pico projector is 50 lumens, which is not great, but can surely work fine in numerous situations. This tiny projector offers spotless and vivid images and incorporates expandable internal memory. There is a Micro SD card slot that support up to 32GB of storage.